Tell us a bit about Noodle.ai and your role in the manufacturing industry? At Noodle.ai, we’re using artificial intelligence to build a brain inside your business. That brain learns and optimizes over time, taking the guesswork out of business operations, so you can make better decisions. Our applications sense, predict, and recommend key variables in demand and supply to improve our clients’ operations. Modern industries make hundreds of complex strategic decisions daily, but too often these strategic decisions are made by committee with each representative providing insights from their own organizational or data siloes. We want to put AI at the center of this process—supporting strategic decision-making with probabilistic, glass-box, interconnected learning models. AI-supported decision-making helps to realize the full value of internal data sources, and allows for the timely inclusion of external data sets to improve outcomes. Noodle.ai has been partnering with companies who manufacture heavy equipment, industrial materials, and even perishable goods, to help them mitigate risk, improve scheduling optimization, predict maintenance needs, and enhance equipment operations. How did Noodle.ai get involved with Big River Steel? How did this partnership come to be? I was speaking at a manufacturing-focused conference when I first met Big River Steel’s CEO, David Stickler. David shared his vision of creating the first intelligent steel mill - he wanted to apply new technology capabilities to an industry that had yet to apply data and machine learning to improve productivity and revenue. He told me that Big River Steel was a technology company that just happens to produce high-quality steel. It was David’s bold vision to transform Big River Steel into the world’s first “smart mill”, a mill that could digest piles of data, analyze that data, learn from that data, and continually improve mill operations over time. After hearing this from David, I knew Noodle.ai could help bring this vision to life, and so began our partnership. How is Big River Steel utilizing AI to improve their operations? We started by examining the financial spread between the price of scrap steel and finished steel. Many mill operators view scrap steel as a financial risk, we saw it as an opportunity – apply AI to improve profit per mill hour by starting at the very beginning of the process. The application we deployed at Big River Steel – the Noodle.ai Material AI – functions as a “scrap steel futures market,” but also has the capacity to factor in downstream effects. Material AI can answer questions like: how will this scrap wear and tear on the mill; how will it impact overall mill maintenance and upkeep? BRS is also using AI to tap into advanced insights from connected machines. More and more machines are coming online to transform industries by talking to each other or by talking to central control panels. The internet of things has been a bit slower to get to manufacturing, but the Big River Steel facility already has nearly 50,000 sensors throughout the plant. Big River Steel is the world’s first LEED certified steel producer, so another important factor is supporting their sustainability efforts. Steel mills can consume as much electricity as a small city. We’re in the process of activating the Energy Consumption Shaping features of the Noodle.ai Production AI to improve energy efficiency and balance productivity – we’re on track to save the equivalent of about 46,000 tons of CO2 emissions at Big River Steel. Integrating many sources of disparate data, we can make production and energy use more efficient simultaneously, and it improves over time with every new data point. Why are steel mills a good target for AI implementation? Seems like an unlikely pair. Steel mills built between the 1970s and 2010 handle their business on spreadsheets and laptops. But the operation of steel mills is just as dependent on math and metrics as any other business, and spreadsheets just can’t handle complex interrelated variables. Spreadsheets are also static in a very quickly changing business world. So why shouldn’t steel mills, like so many other industries, analyze important data on supercomputers, play out various scenarios, and surface decision recommendations that take a wide breadth of factors into account? Big River Steel is a prime example of how AI can transform an industry—increasing revenues, lessening environmental impacts and improving operational efficiency. These improvements mean a better product that increases demand and market share, and ultimately creates jobs. It’s very important that manufacturing executives begin to understand the power that these technologies have to improve business outcomes. What hurdles did Noodle.ai overcome to install this type of technology in the mill? The truth is, we were lucky to work with the Big River Steel team – they were open to how AI could transform their business. But there is understandable hesitation and uncertainty coming from many conventional steel makers, who still doubt the potential and influence of AI. I believe it is imperative that mill executives begin taking advanced analytics and AI seriously line to remain competitive. The longer they wait, the longer their competitors – who are using AI, will lap them in this global race for quality and affordability. However, with any AI implementation you must first identify the problem you want AI to address and source the right data to apply to that problem. You really need a strategic approach to move the needle. A key advantage for Noodle.ai is that our team has decades of experience in supply and demand chain management, which is where most companies stand to benefit most. In the beginning of our partnership with Big River Steel, we began by identifying the data that would be most valuable to couple with advanced learning algorithms. We examined the mill’s historical data, industry data, and the real-time data that we pulled from the mill sensors. Additionally, we prioritized “early stage” use cases where data from this young mill was readily available. Predicting rare failure events requires more historical data so we’ll expand into these opportunities as the “Learning Mill” matures. What would you say to other steel mill owners/operators who are interested in AI implementation? AI isn’t just the future, it’s the present. The time to invest is now. Steel mills are rich in data, and learning algorithms only get better as they learn. Steel mill owners stand to improve their quality and margins dramatically from AI investment. AI can also reveal unexpected business opportunities as well as operational efficiencies. AI can simultaneously improve safety and environmental impact – helping to predict caster breakouts or lessening overall plant waste and CO2 emissions. Do you think more steel mills will catch wind of this new technology and use it themselves in the next few years? I think AI adoption in the steel and manufacturing industry will be a silent revolution, and AI will be the most significant competitive differentiator in business over the next 3 to 5 years. Steel mills are going to improve in terms of safety procedures, operations will become more streamlined and efficient, and those mills and manufacturing companies who didn’t adopt AI will be left at a competitive disadvantage. The longer a learning algorithm is set in place, the more advanced and knowledgeable it becomes, even outperforming other algorithms that came online after it. There will be winners and losers in the steel and manufacturing industry, and the winners will be those who saw the opportunity in AI and swiftly embraced the technology. What other types of industries would benefit from an AI solution? In short, AI is automating and improving prediction. Inefficiencies in business are often due to buffers, which are necessary in cases of risk and uncertainty. Industries who stand to gain the most from AI are those for whom improvement in prediction is very valuable: companies with expensive perishable inventories like pharmaceutical manufacturers, or manufacturing companies with very complex supply chains. Even airlines, who have been experimenting with neural nets for years, have many use cases still underserved by modern AI methods. With the help of learning algorithms analyzing massive quantities of structured and unstructured data, airlines have earlier access to information about engine wear and tear and failure, can optimize their fleet management, provide better ticket incentives, and improve the travel experience for their customers. Stephen Pratt is the founder and CEO of Noodle.ai. and he has spent his career building innovative ways to create value for the world’s most important organizations. 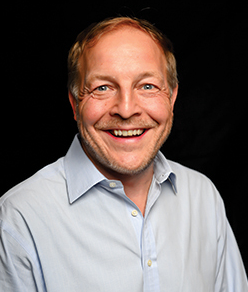 Prior to Noodle, he was responsible for all Watson implementations worldwide for IBM Global Business Services. He also was the founder and CEO of Infosys Consulting, a Senior Partner at Deloitte Consulting, and a technology and strategy consultant at Booz, Allen & Hamilton. He twice has been selected as one of the top 25 consultants in the world by Consulting Magazine. He has Bachelors and Masters degrees in Electrical Engineering from Northwestern University and The George Washington University focused on Satellite Communications. For fun, Steve plays competitive tennis, races sailboats, and formerly was a crazed rugby player. He enjoys playing acoustic guitar for his children (not ready for prime time).